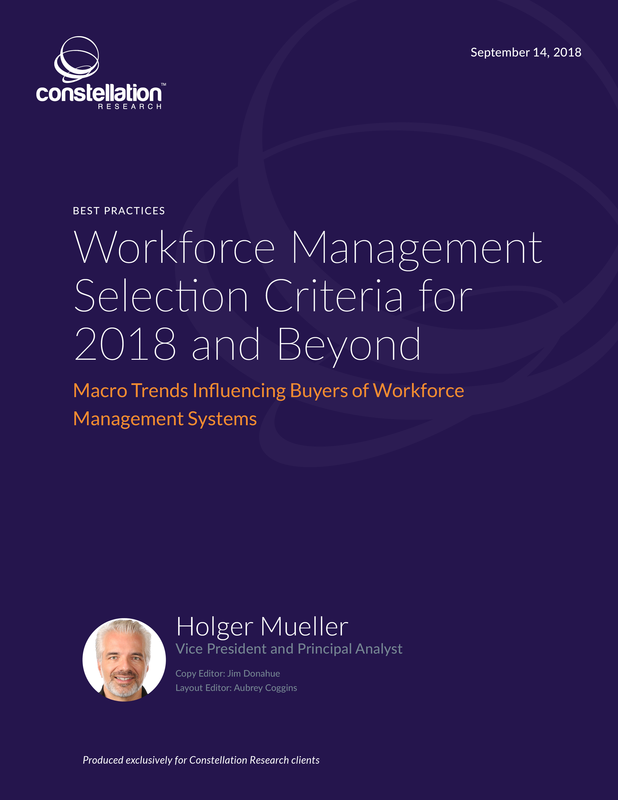 Workforce Management Selection Criteria for 2018 and Beyond | Constellation Research Inc. This report is about the criteria that CxOs need to apply to the selection of workforce management systems. It also analyzes and discusses the top people trends that are affecting the workplace in general and workforce management specifically. The report concludes with recommendations that will help enterprises select the right workforce management system.